Social Media Marketing Services | SMM Singapore | RedBox SEM rel="canonical"
Social Media Marketing or SMM brings your the business beyond physical boundaries. Social media marketing or SMM is gaining more ground in the digital age as a marketing strategy. The number of people using the Internet and mobile devices continues to rise, and shows no sign of slowing down. Customers are talking about brands and products online – on their social media accounts. For many businesses, this is a great opportunity to connect with their target audience and increase brand awareness. With a strong and effective social media marketing strategy, you can do just that! Using the power of social media to your advantage is a wise move, especially now that customers are spending more time viewing and sharing content online. Most, if not all, of the people you know has a computer, tablet, or smartphone. The rise of social TV, which integrates social interaction with television entertainment, makes it more important for businesses to go social. RedBox SEM believes that strengthening your brand’s presence on social networks will help your Singapore business grow. Our Social Media Marketing services connect your business with market players and customers, and spread the good news about your brand beyond boundaries. We will manage your social media presence by improving your business profiles, content, and marketing strategy. Our team of elite digital marketers knows the ins and outs of social media management. Every digital marketing professional has a purpose. Ours is to optimize your online marketing efforts through effective social media management in Singapore. We can be the dedicated social marketers for your start-up or an extension of your in-house social media marketing team. You are here because you are looking for Internet solutions that work. Well, your search ends here. We will ensure that you get the quality service and results you deserve. Whether you are operating a Business-to-Consumer (B2C) or a Business-to-Business (B2B) enterprise, our social media services in Singapore are sure to meet your needs. Tell us more about your business and objectives so we can start creating a detailed plan. Everyone has a story to tell. At RedBox SEM, we allow you to tell yours in a more effective and productive way. We amplify your voice by increasing your brand’s visibility on social networks. Social media marketing works well with other strategies, such as SEO, PPC, and content marketing. Consider blogging and video sharing as good examples. 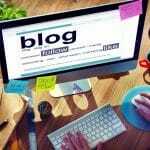 Your blog or video should be informational, entertaining, engaging, or a combination of the three; these make your content useful and worth sharing. A good strategy involves promoting your blogs and videos on different social networks, such as Facebook, Twitter, and YouTube. Providing a compelling call-to-action, as well as links to your website and authoritative resources will increase traffic and conversion. Your social media content could be the next viral topic on the Internet. You can keep people talking about your brand by employing our social media marketing services. Social Media Marketing is business must have in current marketing trend. Social media is growing rapidly. In fact, four out of five online users today have social media accounts. More customers are visiting blogs and social networks to get information, share stories, and interact. Research shows that 70% of active adult social networkers shop online. More than half of all social networkers follow a brand. If your company is not active on social media, you are missing a large chunk of your potential sales. Social media marketing brings traffic to your blog and website. 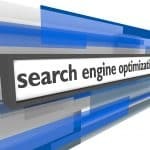 With the help of good SEO and web design, you can convert visits into actual sales. Social media marketing and management allows you to reach and influence more customers. Posting announcements on Facebook, for example, attracts attention from followers and ignites conversation, hence giving your brand instant, free publicity. You can also raise attendance for your upcoming event by posting a teaser video, by sharing promotional content, or by blogging about the event. Do you have special offers and promotions? Advertise on social media and let the world know about the great deals you are offering. Share your YouTube commercial or any other promotional videos and increase your traffic and following by 20 percent. Statistics shows that more than 40% of consumers buy products they saw on YouTube ads. 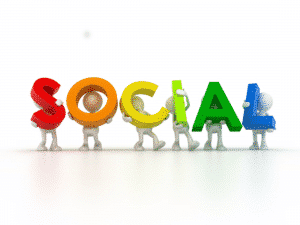 Social media marketing SMM is no doubt an invaluable tool in growing your business. RedBox SEM is your partner in success. Contact us today so we can device a strategy that will work best for you.